Neel Shah has successfully raised funds & reached the goal amount. We thank all the 17 generous supporters for their kindness. I hope to empower these amazing leaders from their community to reach new heights. Program Director - Global Institute of Sports Business; I believe that everyone should have an opportunity to transform their passions into their profession. Kishan Jadhav and Poonam Gautam live in Mumbai's Ambedkar Nagar slum. Like any other young individuals, they aspire to be successful in their lives. But being caught in the cycle of poverty, they are afraid to dream bigger. For Kishan and Poonam, life has never been easy. 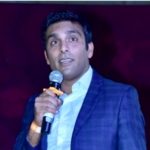 For Kishan, it was all about devoting a good part of his day to source potable water in the slums, and getting drawn into the uninspiring environment where drug abuse, alcohol, and gambling was a norm. For Poonam, it was all about being discriminated against for being a girl and where everyone else decided how free and independent she should be. One thing in common between Kishan and Poonam is their love of sports. 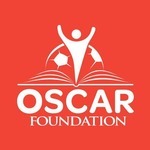 During their association with OSCAR Foundation, they have made significant progress as sportsmen and trainers. Kishan Jadhav says, "While most of my neighbourhood thought I was wasting time playing football, I proved them otherwise. My family started supporting me when they realised that I wasn't just playing but also training other underprivileged children at OSCAR Foundation in football and life skills. Out of the many students that I coached, one was even selected to play in London and got an opportunity to meet Manchester United's star footballer Juan Mata. I still remember how happy the family of that student was. His parents told me that it was because of me that they felt a lot more respected in their community." Poonam Gautam says, "Unfortunately, my neighbours seemed to have a problem with everything about me playing football. They told my parents not to let me play football and avoid wearing shorts and t-shirts. They were of the opinion that girls should stay at home and help with household chores. But I convinced my mother despite all this, and thanks to her that I am now pursuing a life that I love. I joined the Youth Leadership program at OSCAR Foundation and now coach underprivileged children." GISB and OSCAR Foundation wants Kishan and Poonam to continue dreaming bigger. GISB has decided to fund a part of the GISB-ISDE Certificate in Sports Management course for Kishan and Poonam-- a full-time 20-unit intensive, informative and experiential higher education course specialising in the business of sports. The program is certified by Madrid, Spain based Instituto Superior de Derecho y Economia (ISDE) which is a global renowned Law & Business School. When OSCAR Foundation suggested the GISB Sports Management Course to me given my passion and skills, I felt the course would give me the right opportunity to combine my ground experience in sports and learn from professionals about sports management. I believe that doing this course will help me open many new doors. I have seen the difference sport can make first hand, and I believe that GISB can help me make a more significant difference in my life and community. I am really excited to do this course, but for this I need support. Kishan and Poonam have excellent leadership skills and are real role models in their community. Despite their difficult circumstances, their sustained efforts have brought them success as sportsmen. With the right education and training, they can be able administrators and impact the lives of even more children in their community. Help us in supporting Kishan and Poonam pursue an Internationally certified Sports Management Course from The Global Institute of Sports Business (GISB). 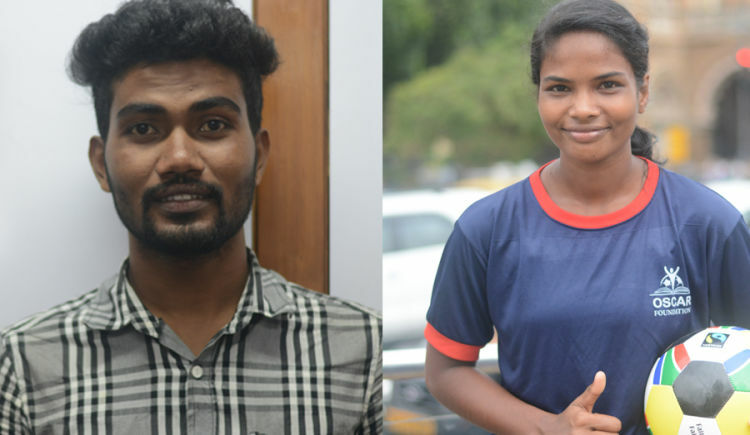 GISB has agreed to cover 50% of the student tuition, and we are looking to raise the remaining 50% to help Kishan and Poonam pursue their dreams of making a career in sports management. Through this individual fundraiser, my goal is to raise INR 2,35,000 of the 7 lakhs that Kishan & Poonam need to pay their fees. 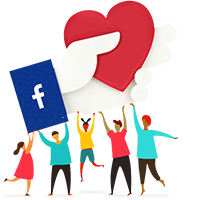 Feel free to ask Neel Shah for a new update on this Fundraiser. Your message will be directly emailed to Neel Shah and you will receive his/her response on the email address entered below. Your message will be directly emailed to OSCAR Foundation and you will receive his/her response on the email address entered below.